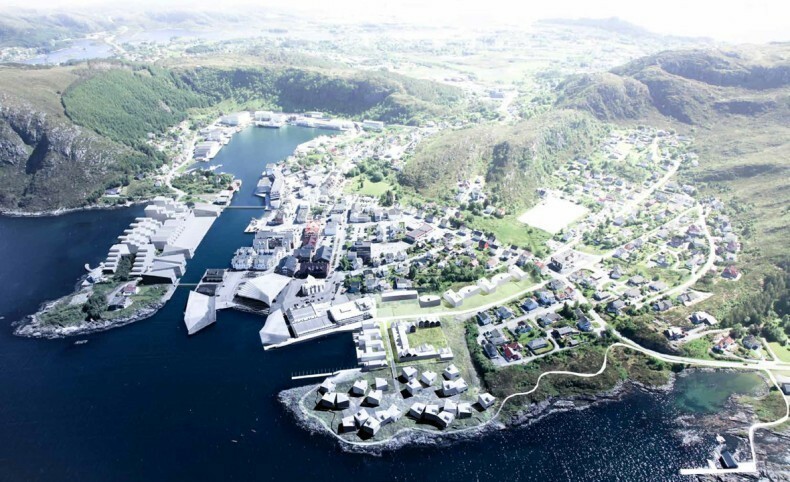 karres+brands and Ghilardi+Hellsten arkitekter have made the development plan for the coastal town of Fosnavåg in Norway. 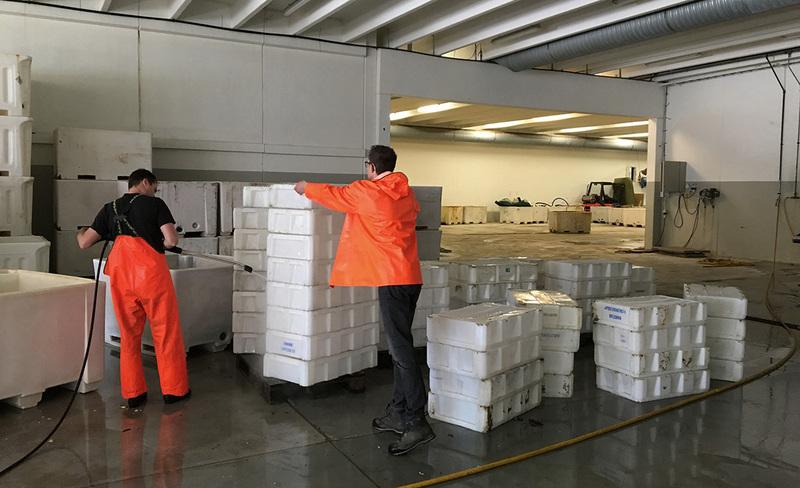 The town is one of the most important fishing towns along the west coast and the governing centre for the Herøy area. The urban development focusses on creating a better connection to the sea for big ships, densifying the city centre and re-interpreting the historical inner harbor. New public spaces will be developed, connecting different parts of the town and surrounding landscape. 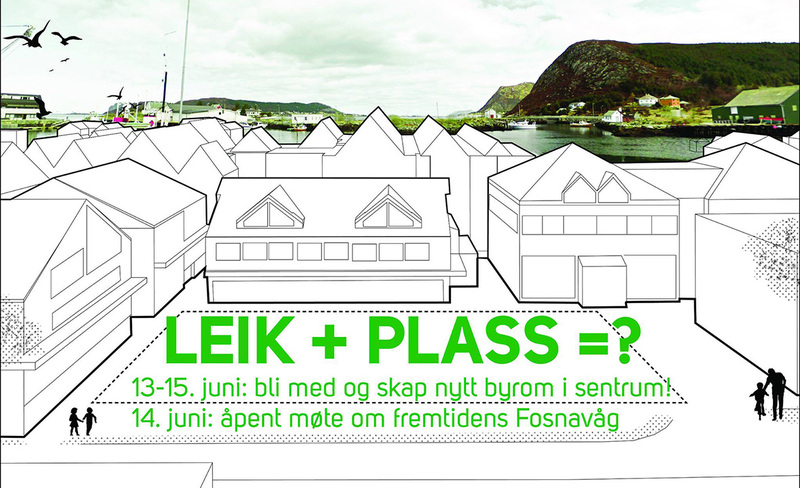 As a kick off for the development, karres+brands and Ghilardi+Hellsten turned a small parking lot into a pop up public space for the inhabitants of Fosnavåg to enjoy. 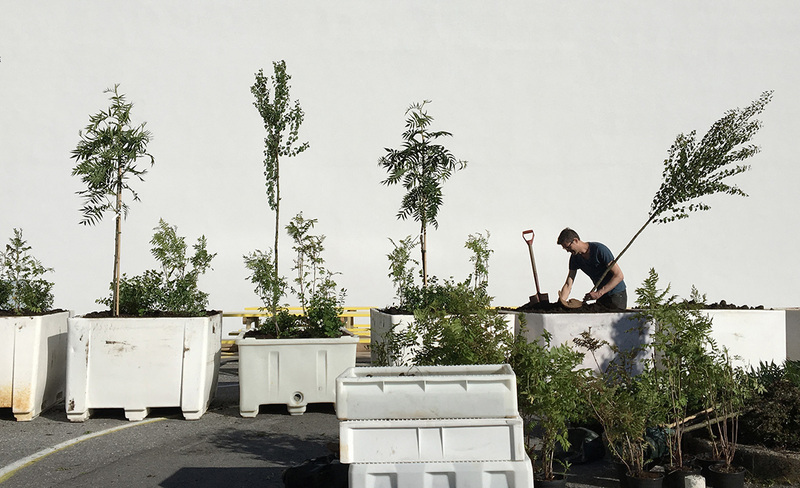 ‘Objets trouvées’ from the harbor, such as fish crates and pick nick benches, were reinterpreted to make tree planters, a temporary flower garden and places to sit, linger and meet. Pick nick benches, produced by a local workshop that employs people with a limited access to the job market, were altered and modified. These new types of street furniture instigate new ways of usage by people of all ages. A playfull pattern on the floor offers a whole new perspective on the space and invites children to cycle, roller skate and play. Local shop owners contributed by donating toys and playful elements for the children. Interviews and excursions have been held to inform the people about the upcoming development and acquire information about the wishes and ideas of the people. 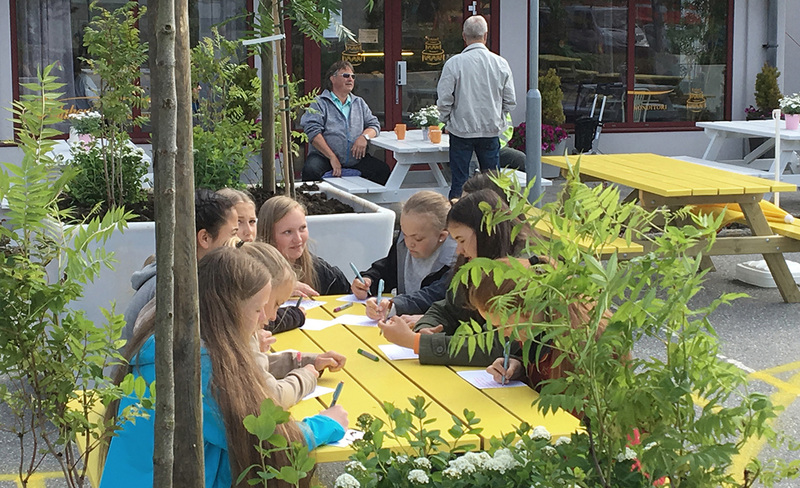 This pop up public space is one of the ways that is being used to actively involve the inhabitants in the discussions on redeveloping the town and its public spaces. 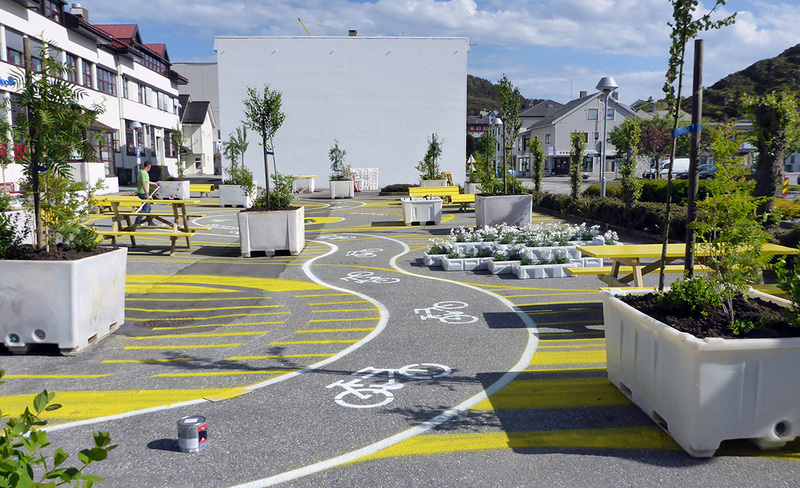 The newest square of Fosnavåg has been opened today.